Jane brought them all together and Pistol Jane was born. 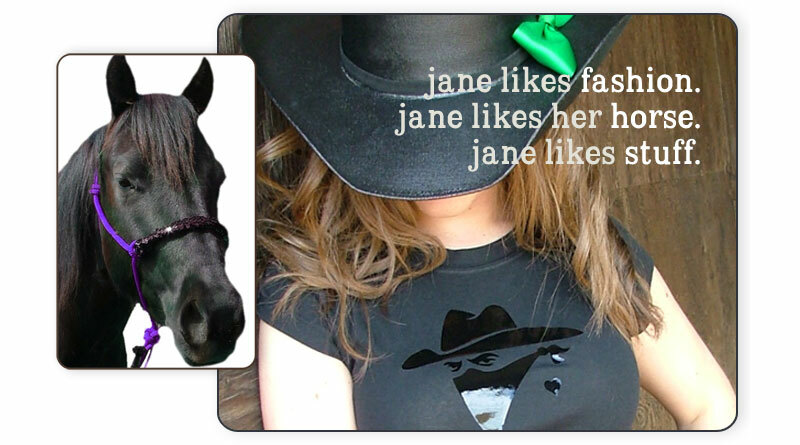 Here at Pistol Jane we offer a one of a kind shopping experience. We let you express your unique style and unleash your creativity while being the designer of your own custom products and while wearing our fabulous and trendy stuff. Our goal is to create products that have as much personality as the girls who use them. We enjoy putting new twists, spins, and loop-de-loops on classic western products, and even creating a few new ones along the way. We invite you into our world of sequins, color, and everything fabulous. Have fun!